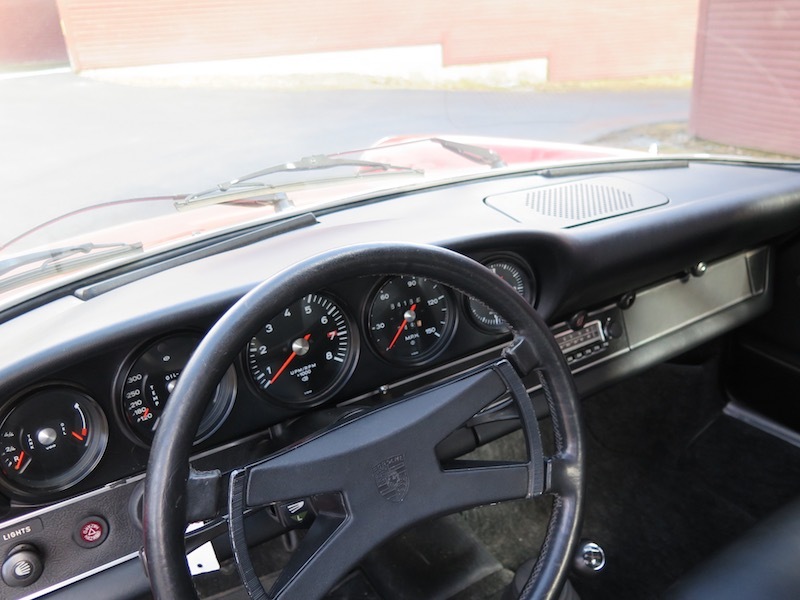 1973 Porsche 911E Coupe. Matching numbers and colors per Certificate of Authenticity. This is exactly how you want to buy a classic car with records going back to the original sales invoice in 1973. 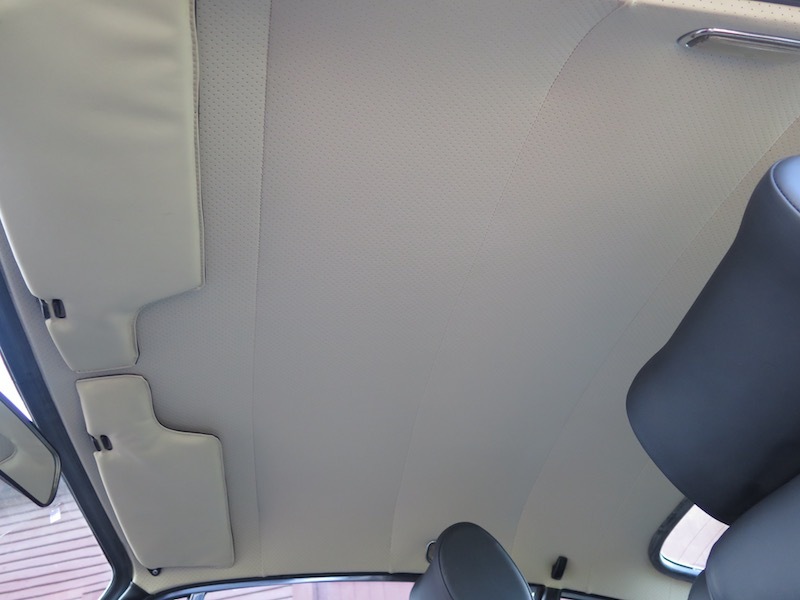 It shows a massive commitment by the past owners to properly service and maintain the car. There is no rust present anywhere nor is there evidence of accident or rust repair. Current invoices show a rebuilt engine, fuel injection pump and throttle bodies as well as other details. 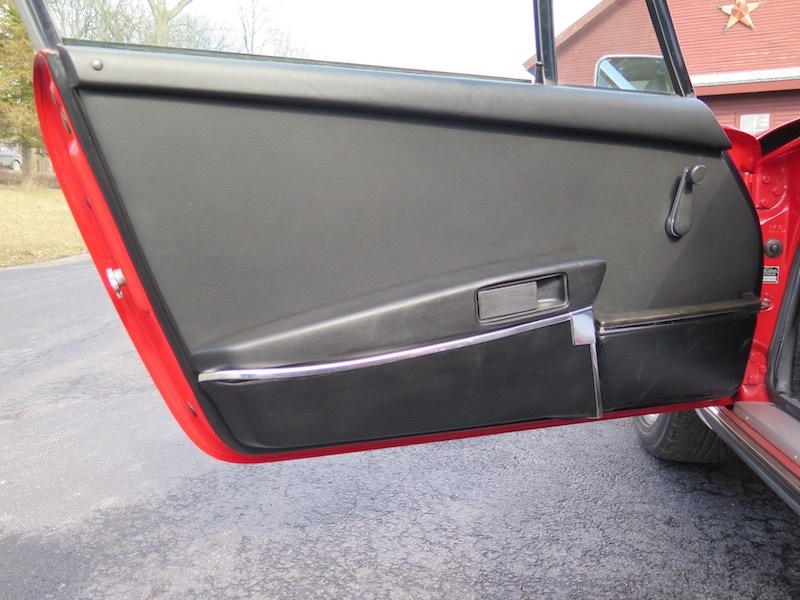 The body of this car was refinished in its original shade of Bahia Red to a very high standard along with the expertly refinished wheels. 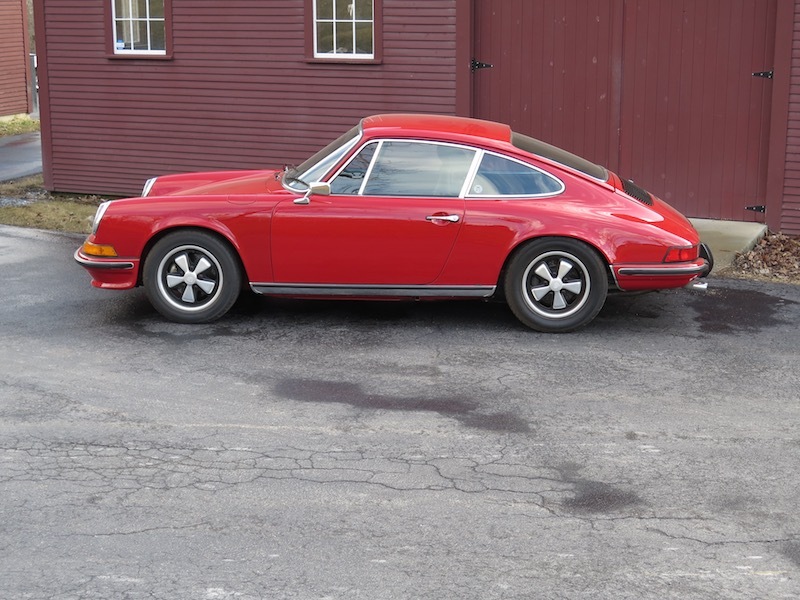 Since we acquired this 911, we have addressed many little issues to make sure it is ready for trouble free driving. This car is unusually fast and easy to drive, not as “peaky” as a 911S but more power than the 911T of the same year. We are very fortunate to have this car at our shop.